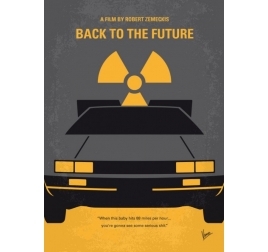 For you all film fans and series-lovers of all kinds, this metal posters collection was created for you ! 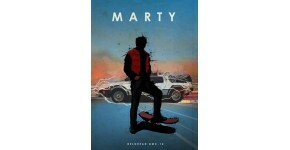 From Back to the future to Pulp Fiction and Ghost Busters, those decorative wall posters show the classics and the latest series. Those collector designs by our artists will allow you to decorate your walls with exclusive and original posters. 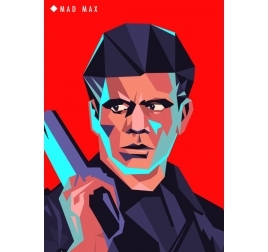 So if you wish to create a unique ambiance of your favourite film or series, those Artwall and Co posters will be the work of art you need. Each purchase of a metal poster helps you support the artist himself. 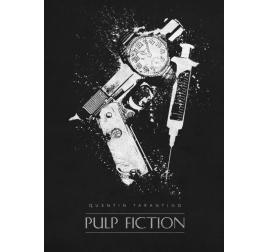 Discover our Pulp Fiction metal wall poster ! This giant poster highlights the famous cinematic classic signed Quentin Tarantino. The dimensions of this Pulp Fiction wall poster are 48 x 67.5 cm. Completely free deliveries in metropolitan France and Belgium for this Pulp Fiction metal poster. 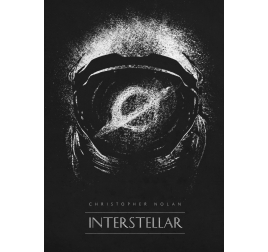 The famous film Interstellar in metallic wall poster. This poster is printed on a metal stand for a unique rendering. The dimensions of this movie poster are 48 x 67.5 cm. Worldwide delivery for this Interstellar poster. Discover our original poster to go back in time ! This collector poster comes with its magnetic hanging system. The dimensions of this Delorean wall poster are 48 x 67.5 cm. 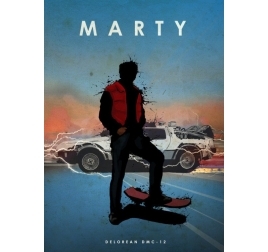 Completely free deliveries in metropolitan France and Belgium for this Delorean metal poster. The famous warrior in metal poster design ! 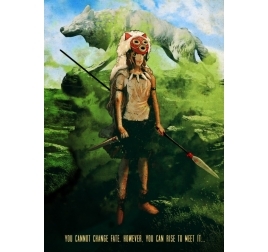 This Mononoke metal wall poster comes with its magnetic hanging system. The dimensions of this metal poster are 48 x 67.5 cm. Free delivery in Metropolitan France and Belgium for this wall metal decoration. 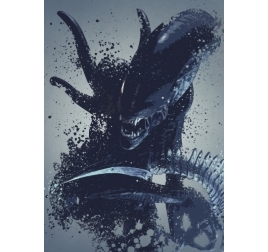 Our original wall poster of the movie Alien ! This Alien Covenant metal poster comes with its magnetic hanging system. The dimensions of this Alien wall poster are 48 x 67.5 cm. Completely free deliveries in metropolitan France and Belgium for this giant poster Alien. Horror science fiction fan in metal poster ? Discover our Alien metal poster delivered with magnetic hanging system. The dimensions of this Alien Metal poster are 48 x 67.5 cm. 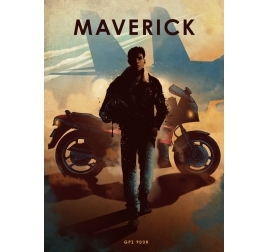 Completely free deliveries in metropolitan France and Belgium for this large metal poster.